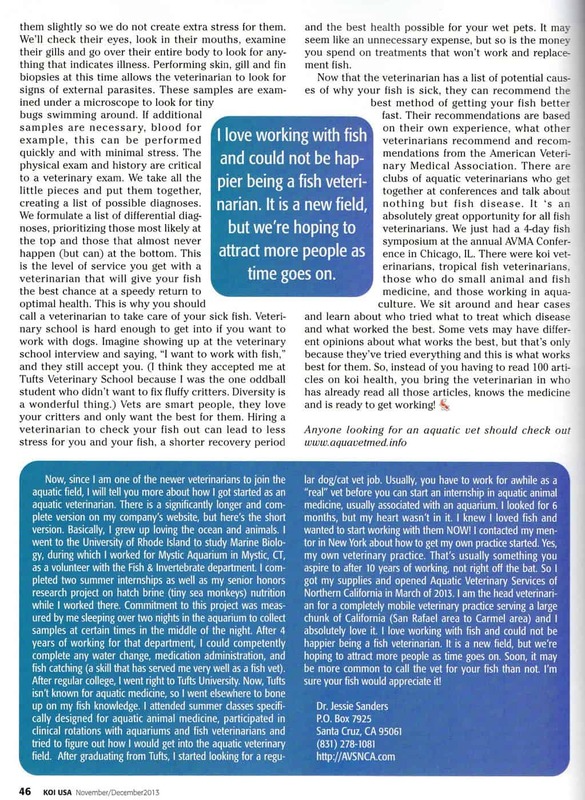 So, for those of you who do not receive KOI USA magazine, they have given me permission to post it here on our website. If you are not subscribed to KOI USA, I highly suggest doing so. 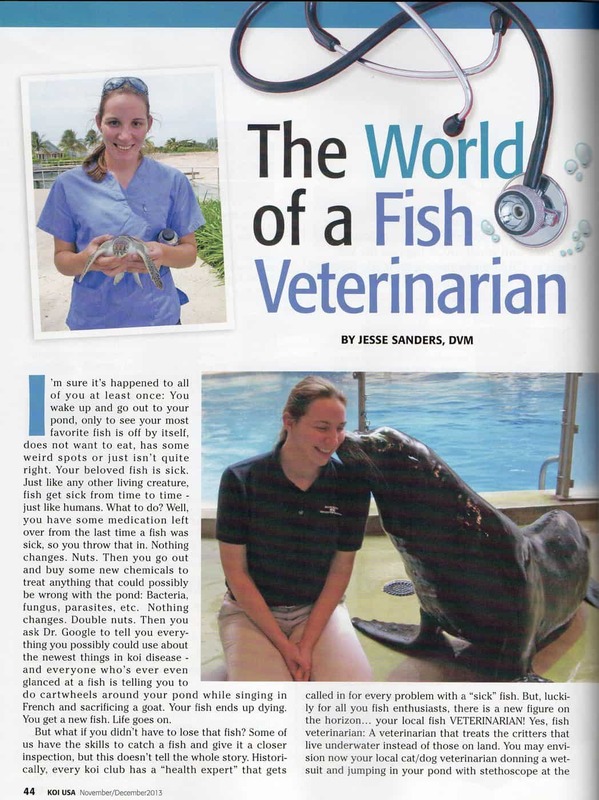 Not only do they have lots of fun fish articles, other interest areas surrounding the hobby, such as landscaping and travel, are also highlighted. Thanks again to the great folks at KOI USA for letting me contribute! I hope to do this many more times in the future, so subscribe today! Radio Show This Sunday (1/5) at 1pm! 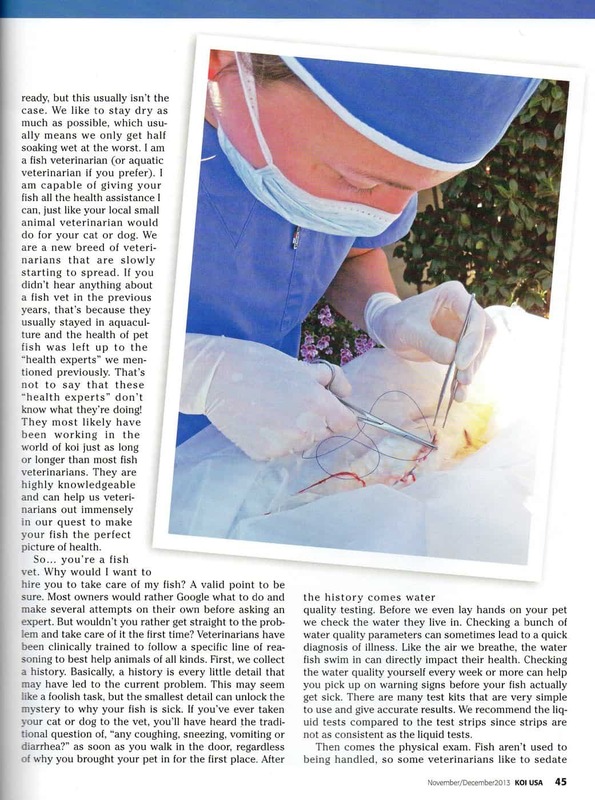 Reblogged this on The Fish Vet's Blog.